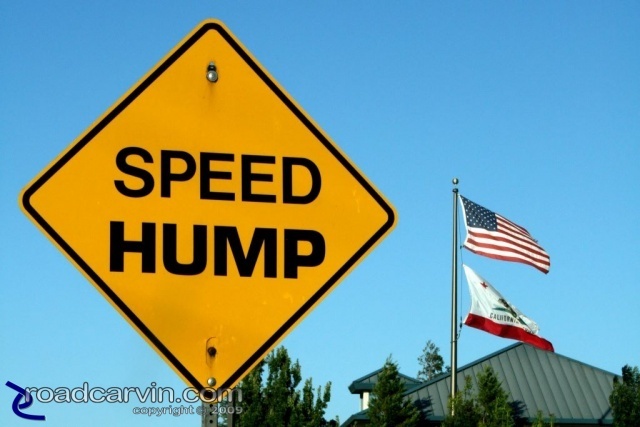 Friday Photo: Speed Hump - Warning or Command? "Speed Hump" sign with U.S. and California flags flying proudly in the background help create a sense of urgency... should I comply? Ducati Desmosedici RR on display at the International Motorcycle Show in San Mateo, California December 19-21. Nicky Moore looking back in turn 8a. Jake Zemke waving to the crowd in the Corkscrew at Laguna Seca during the 2008 AMA Finale. 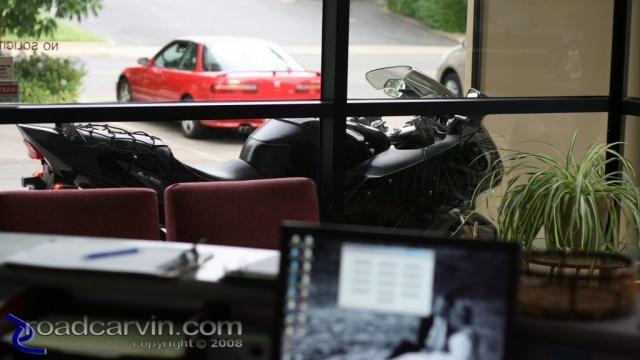 The '98 Honda CBR1100XX sits outside, waiting patiently while I toil away in the office. The ride home promises to be a welcome relief from the stresses of the work week.